If you don't have time to grate all the broccoli to make a broccoli slaw salad you can buy the broccoli already grated and ready to go. This is one of the easiest recipes I've ever followed. In a medium size bowl add the grated broccoli and the chopped onions. 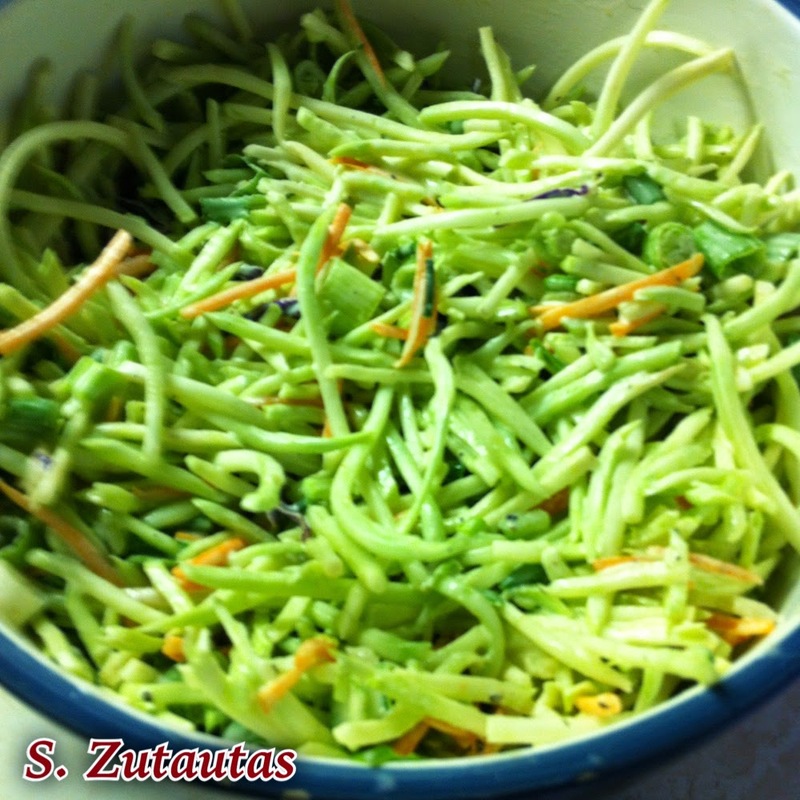 In a small bowl combine all of the other ingredients and whisk really well to make the salad dressing. Pour the dressing over the broccoli and toss really well. Either cover and refrigerate until ready to use, or serve and ENJOY! If you'd like to make this same salad from a head of broccoli with an olive oil and red wine dressing please follow my link. I don't know why I rarely notice the shredded broccoli in the store. I'll have to start paying attention. I do enjoy broccoli slaw, especially during the summer with grilled anything. Nice side dish. Thanks for sharing your recipe! Recipe sounds delicious and better for you than classic version. It is really good and I hope you try it.